David L. Chappell is Rothbaum Professor of Modern American History at the University of Oklahoma. He is author of Inside Agitators: White Southerners in the Civil Rights Movement and A Stone of Hope: Prophetic Religion and the Death of Jim Crow. 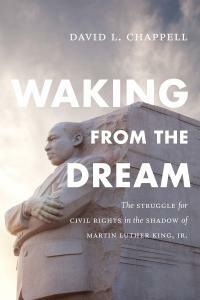 Waking from the Dream: The Struggle for Civil Rights in the Shadow of Martin Luther King Jr.